Our winter getaway over the last two days was supposed to include a couple of different activities: snow-tubing and outdoor skating. Well, our outdoor skating fell through, due to the extraordinarily warm conditions, however, we had a beautiful day yesterday on Kempenfelt Bay in Barrie, where we enjoyed some great outdoor time on frozen Lake Simcoe. Today, after our delicious filling breakfast at Nicholyn Farms Bed and Breakfast, we headed off for another adventure: snowtubing at Horseshoe Valley. Unfortunately the weather today was even less cooperative: as the day progressed it went from freezing rain to rain to a veritable downpour as we drove back to Toronto. Nevertheless the morning was cold enough for our snowtubing adventure. My 8-year old nephew had never been snowtubing before, and knowing his penchant for high-speed adrenaline-filled activities, we knew that he would fall in love with this sport. Horseshoe Valley is one of several Ontario winter resorts and in addition to downhill skiing, cross-country skiing and skating, it also features a snow-tubing hill. It's a thrill to get pulled up on the hill, sitting on a refunctioned inner tube, and then getting linked up in a group of 2, 3 or 4 snow-tubers, who hold on to their neighbouring tuber's handle and then get pushed down the hill by one of the staff members - with a spin and a momentum that feels almost like a roller coaster! ATV riders are having fun on Lake Simcoe in Barrie. Snowtubing is just one of the many fun winter activities that Ontario has to offer. Snow Valley Resort just on the other side of Highway 400 also offers snowtubing. Blue Mountain Resort in Collingwood is another place for Ontario snowtubing enthusiasts. Skating: Obviously hockey is Canada's national sport and skating runs in the veins of many residents of this northern country. Virtually all Ontario cities, towns and villages have outdoor skating rinks and indoor arenas. Outdoor skating is free in many cases, and indoor pleasure skating is generally a very inexpensive sport. One of the best known skating Ontario opportunities exists in Ottawa, on the 7. 8 km long Rideau Canal, the world's longest skating rink according to the Guiness Book of Records. The City of Ottawa lists its public skating information on the Internet. Toronto's well-known outdoor skating venues include City Hall, Harbourfront and Grenadier Pond in HIgh Park and the City of Toronto provides a list of leisure skating opportunities in Toronto. Skiing & snowboarding: Although Ontario certainly doesn't have the greatest vertical drop compared to international ski resorts, but it does offer 41 resorts for downhill skiers and snowboarders at the Ski Ontario website. Cross-country skiing & snowshoeing: Ontario's more than 120 cross-country ski areas are rivalled only by Quebec for sheer number and variety. Ski areas are operated by various organizations ranging from parks to clubs and resorts. The Ski Ontario website provides an extensive listing of cross-country opportunities across Ontario. Special offers for snowshoeing and cross-country getaways are featured on the Ontario Outdoor website. Snowmobiling: Ontario offers more than 43,000 km (26,000 mi.) of maintained, interconnected, uncongested trails. It is the longest network of recreational trails in the world. The 248 member clubs of the Ontario Federation of Snowmobile Clubs build and maintain this extensive trail network. Find more information about snowmobiling in Ontario in the Ontario Snowmobiler Magazine. The kid on the right is wearing shorts! On January 28, 2006!!! Iceclimbing: The north of Ontario is the heart of Ontario's iceclimbing country and features ice-clad routes with heights of more than 90 m.
Special ice-climbing getaways are featured on the Ontario Outdoor Website. Dogsledding: Dog sledding has evolved from a utilitarian form of transport in northern countries to a unique travel experience. Some dogsledding operators have a guide drive the team, where at other places you may drive the sled yourself. The Ontario Outdoor Website features a variety of dog sledding adventures and getaways. Urban Winter Getaways: For those who want to enjoy the best that Ontario's cities have to offer over the winter time, there are a variety of special events going on. Many cities and towns throughout Ontario feature special winter festivals, starting with many festivals of light, tree lighting ceremonies and New Year's celebrations in November and December, and continuing with a variety of special events, trade fairs and restaurant promotions throughout January and February. The Success with Ontario website features a listing of Ontario's Festivals and events. Major festivals include: Toronto's WinterCity Festival and Winterlicious Ottawa's Winterlude Winter Festival Niagara's Icewine Festival Ontario Accommodation Choices: Ontario offers a wide variety of choices for getaways. From all-inclusive feature-packed resorts, to down-to-earth farm vacations, to cozy bed and breafasts, secluded cottages and chalets and inviting country inns, Ontario has a wide selection of accommodation providers. 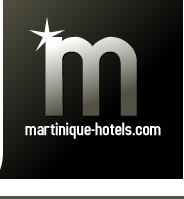 Unique boutique hotels, and centrally located urban hotels round out the accommodation offers. Ontario Travel's website offers a great overview of the accommodation choices available in Ontario. There is plenty to do in the winter in Ontario, indoors and out. Nature lovers, urban explorers, adrenaline junkies, and romantic lovebirds will all find something to choose from to brighten up those cold winter days.